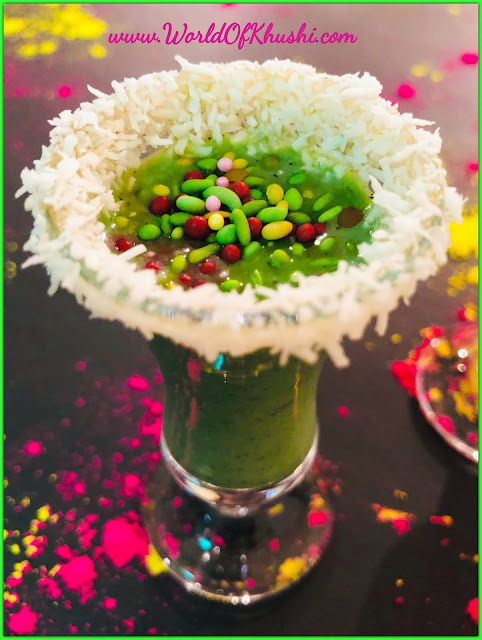 Summers have just started here in California so for us now it's the time to enjoy Hot Sunny Days and delicious chilled Mocktails. 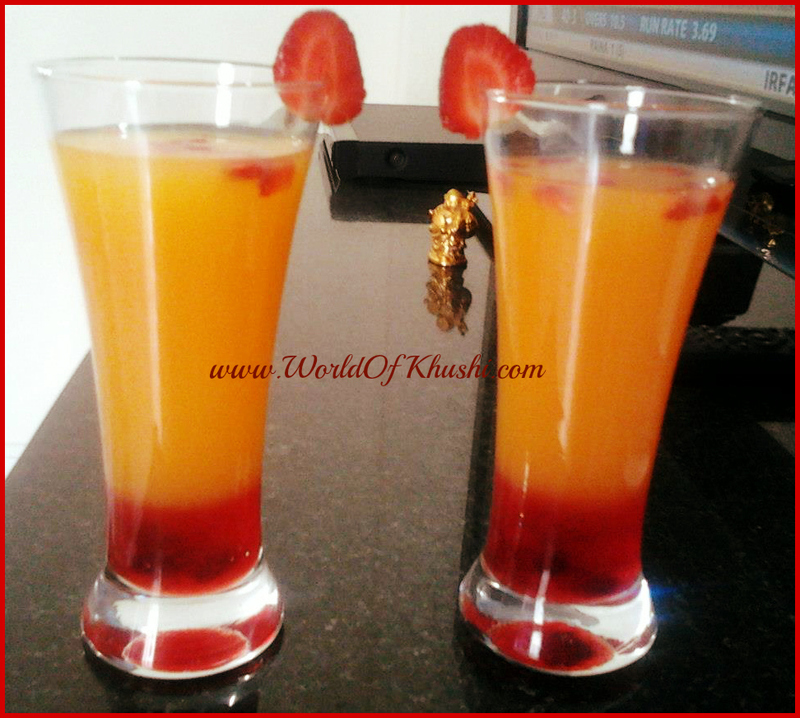 The Mocktail which I am making today contains tasty Strawberries and very healthy Orange juice with little twist of Soda. Its called it as Strawberry Spritzer, this mocktail was my very first Mocktail when I started making those & is loved too much by everyone in my family. I hope you gonna love this recipe too as its extreme easy to make & at the same time delicious. So without any futher delay let's see how to make it!! Step 2. Pour Strawberry syrup in the glass bottom and refrigerate it for 15 minutes. Step 3. Now fill half of the glass with Orange Juice and the remaining half with Sprite. Step 4. In the end, add some chopped Strawberries. The delicious Strawberry Spritzer is ready. Garnish it with Strawberry and serve immediately. Note :- Here I am using fresh home-made juice that's why have very thick consistency and dark in color. If you use Market Juice then you will get a more beautiful look. Below picture was made by market Juice. 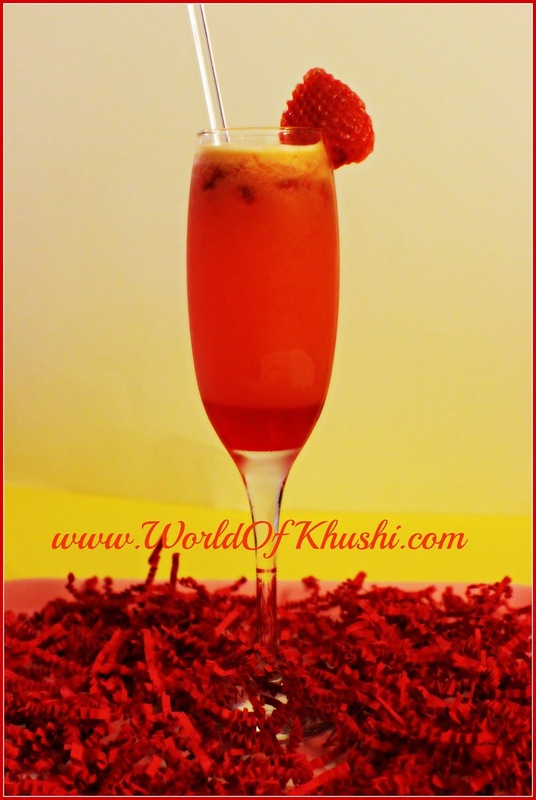 I hope you and your family will love this Mocktail. This one I discovered in 2012 and is still one of my favorite Mock-tail. If you try this then don't forget to share your pictures with me. Love to see them!! Also please like the post and share it with everyone.Follow me on Khushi's World Facebook Page, Google+ , Instagram and Pinterest for more Posts. I will see you in next post till then take care.